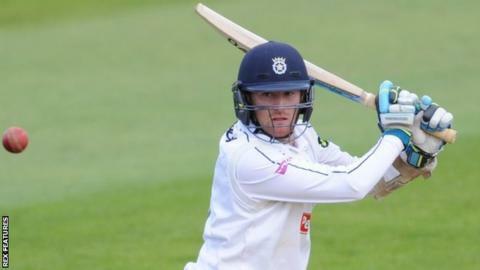 Hampshire's Liam Dawson says he wants to seize the opportunity that Danny Briggs's departure has given him. Dawson. 25, is now their senior spinner with fellow all-rounder Will Smith and teenagers Mason Crane and Brad Taylor the other slow bowling options. Left-armer Briggs, who has played seven Twenty20 games for England, joined Sussex last week on a three-year deal. "It's going to be a hard role to fill but I look forward to taking that role on," Dawson told BBC Radio Solent. "It did come as a little bit of a surprise but he was not happy because he was not playing. "He has done an exceptional job for Hampshire in all formats of cricket that he has played and he will be massively missed." Dawson joined Essex on loan in July to get more game time, but spent just 12 days at Chelmsford before he was recalled by Hampshire. He then enjoyed a fine end to the season for the south coast county, taking a five-wicket haul against Somerset, before scoring 140 with the bat against champions Yorkshire. Dawson said hopeful of playing more in 2016 after biding his time for regular cricket and Briggs' exit. "We are massively different bowlers and we have both been very successful in different ways," he added. "But it gives me an opportunity now and the way my bowling is going, I feel I can do a very good job for the team."